INSIGHT MAY CAUSE BLINDNESS AND OTHER ESSAYS. 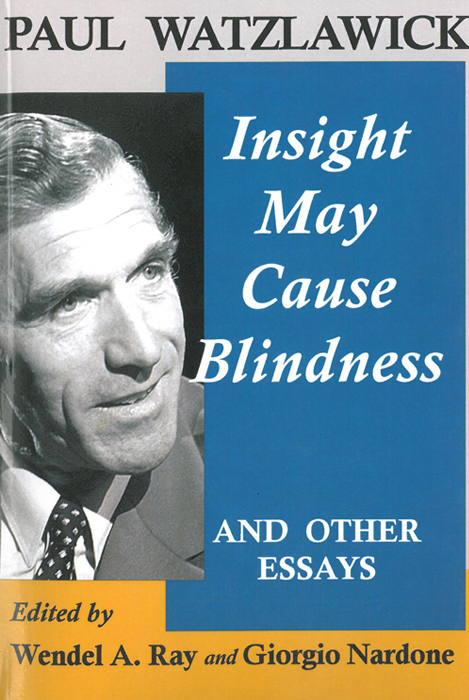 EDITED BY RAY W., NARDONE G.
Home > Pubblicazioni > INSIGHT MAY CAUSE BLINDNESS AND OTHER ESSAYS. EDITED BY RAY W., NARDONE G.
Paul Watzlawick is among the best known figures in the fields of communication and constructivist theory, family and brief therapy. A Senior Research Fellow at the Mental Research Institute (MRI) and founding member of the MRI Brief Therapy Center team, he was Clinical Professor Emeritus at Stanford University School of Medicine Department of Psychiatry and Behavioral Sciences. Dr. Watzlawick’s contributions to the Interactional View of human behavior are profound, many, and among the most influential and widely read.